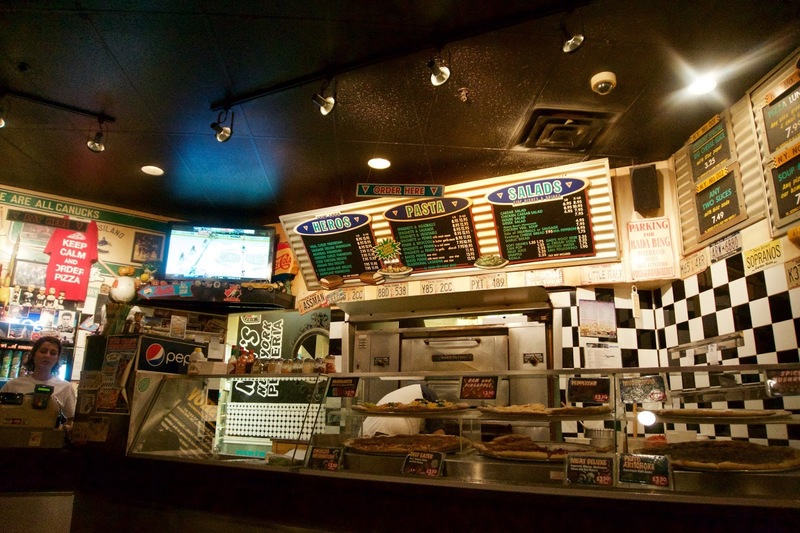 This visit to Nat's was from a few months back - back when I was still able to eat pizza! I know...what's life without pizza? ...utterly meaningless I tell ya. Utterly meaningless. "You don't know what you have until it's gone." I really like Nat's. 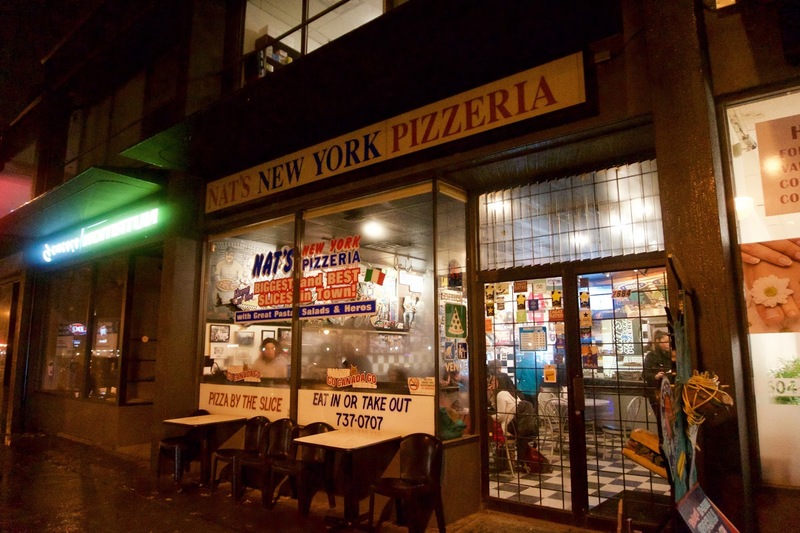 Nat's is a New York style pizzeria in Kits (they have another location downtown!) 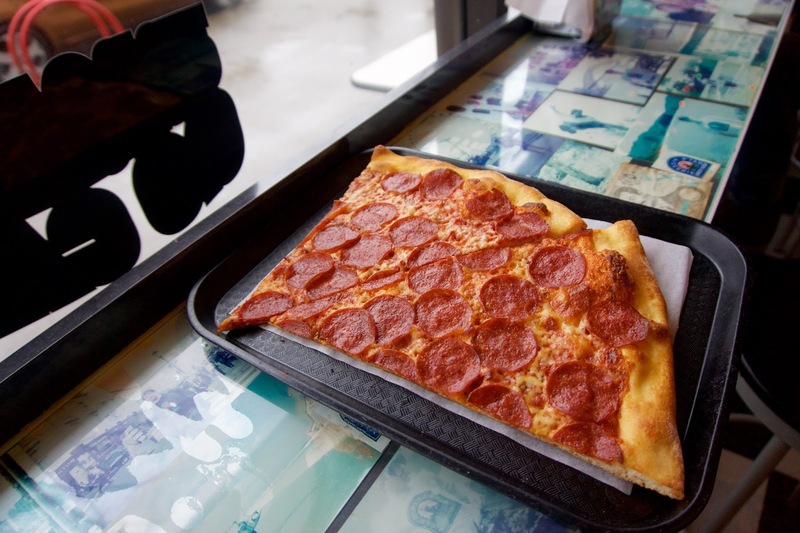 They're famous for their huge slices of thin crust pizza! If you're planning on coming here during lunch on a weekday be warned - Nat's is PACKED, and I mean packed (I could barely breathe) with kids from the nearby high school! Okay, my memory's a little fuzzy (this was from a while back) but if I recall correctly, this was my favourite out of the 4 that I tried! This also happens to be their signature flavour! 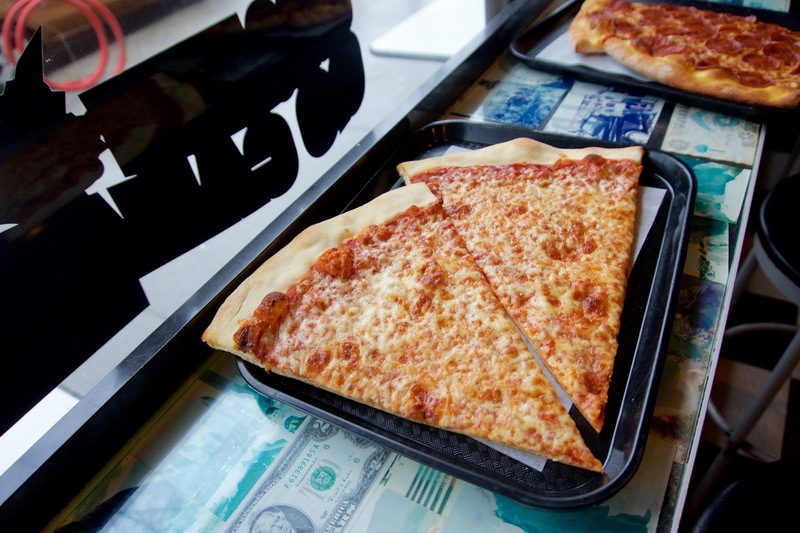 The pizza is super thin and crispy, with a thin layer of cheese on top!! The cheese is melty and gooey, and super fragrant! The tomato sauce is really tomatoey, and not bland at all! If I'm going for pizza, I gotta do "pep." That's what New Yorker's call it right? The pepperoni was really yummy!! It was flavourful with a bit of spice going on. The flavour was accentuated by the cheese. 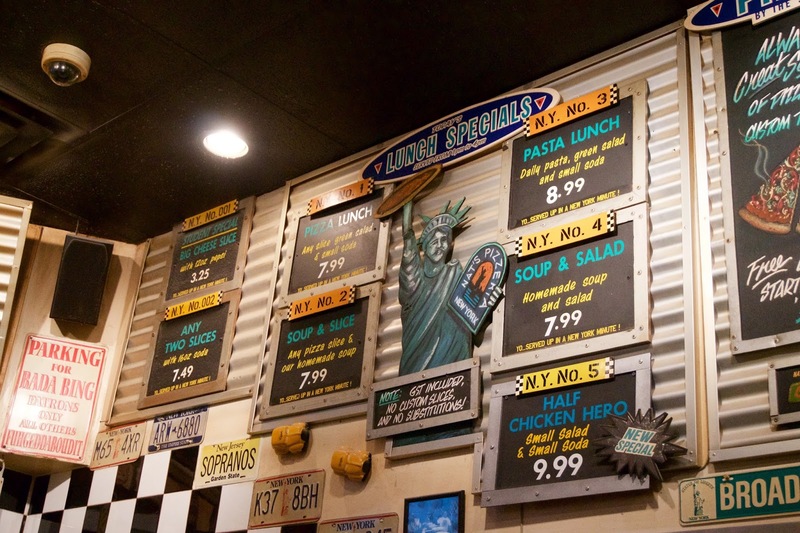 I went back the very next day for dinner, and ordered another slice of pep and some pesto chicken! The pesto chicken was quite nice as well!! 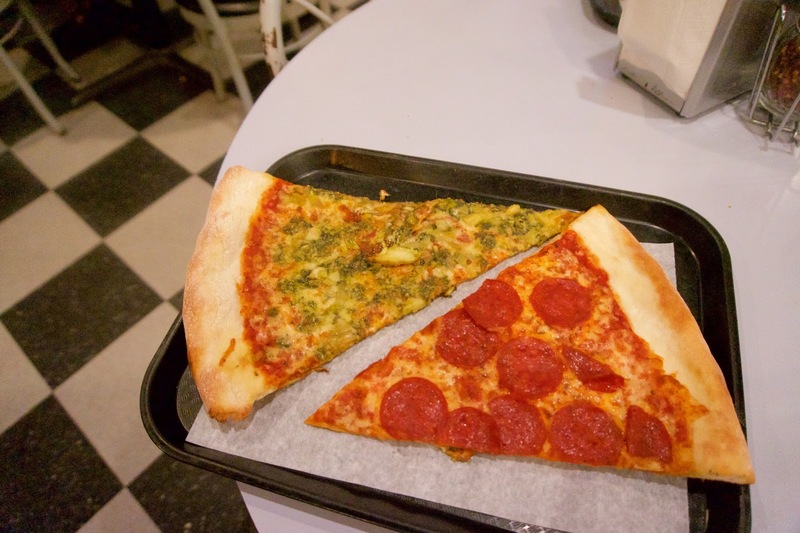 The pesto flavour was evident, but I felt like the pizza lacked cheese. Pretty good but I still prefer the pep! 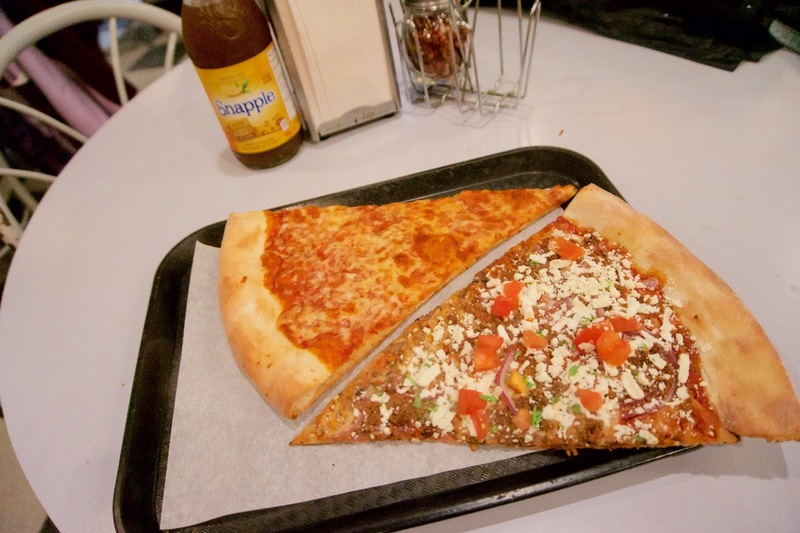 I also ordered a slice of feta cheese, and it was yummy as well!! The feta flavour was strong and the addition of tomatoes was a nice touch! This also had some minced meat on it! 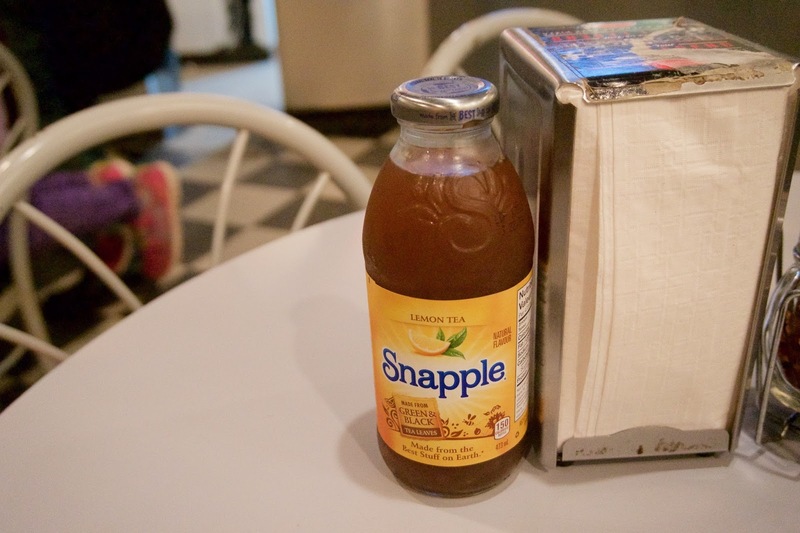 I got a snapple to wash it all down! 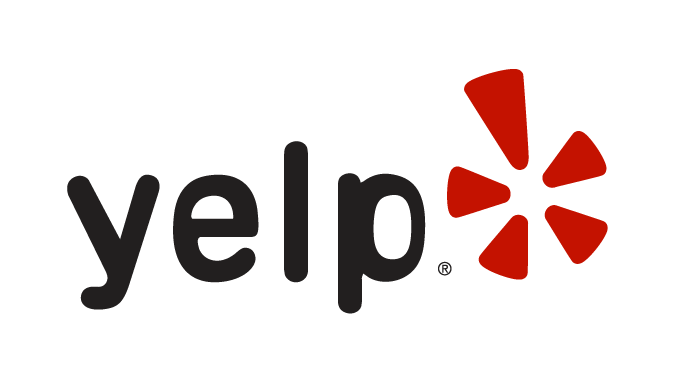 Their specials are really affordable!